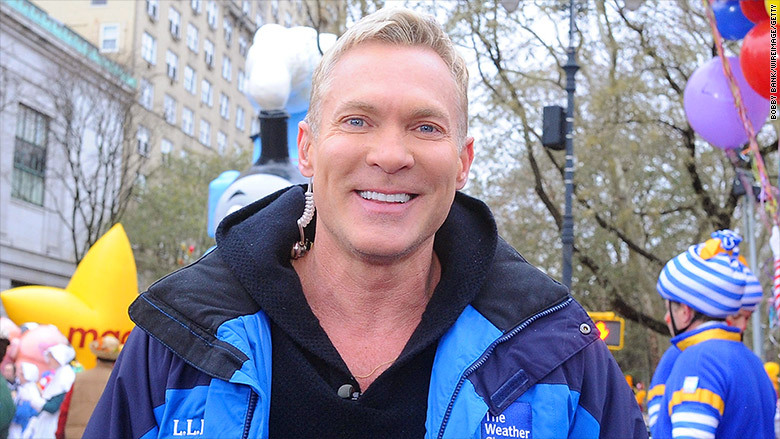 The Weather Channel is canceling Sam Champion's morning newscast, replacing reality shows with more weather coverage, cutting TV production costs and laying off some staffers in a sweeping adjustment to changes in the cable business. The channel shared a detailed plan with staffers on Wednesday morning. About 50 of the channel's 1,400 employees will be leaving. The plan calls for a singular focus "on our unique strength -- and that is the weather." With the cable channel bundle coming under increasing pressure, and "skinny bundles" becoming more common, "it's inevitable that channels will be cut," Weather Company CEO David Kenny said in an interview. With this in mind, "we need to be really clear who we are," Kenny said. That means paring back its original programming investments (shows like "Prospectors" and "Fat Guys in the Woods") and lifestyle coverage. The priority is essential, live weather coverage -- particularly during periods of severe weather -- and local information. "It's going to cost more money to do longer hours of live, so we have to be more efficient about it," he said. Overall TV spending will be reduced as well. Kenny said "we're now a technology company that owns a TV channel, not a TV company." Weather.com is increasingly the front door for the company's customers. In the second quarter of 2015, for the first time, its digital business had higher revenues and profits than its TV business. At the same time, the TV side has been in a defensive posture, trying to hold onto the monthly subscriber fees that it receives from cable and satellite distributors. When DirecTV dropped the channel for three months last year, it was an early signal that those fees are in jeopardy. Wednesday's shakeup is a direct result of discussions with distributors, advertisers and audience focus groups. Dave Shull, the president of the Weather Company's TV division, said distributors are "only going to carry channels they have to carry in the future." Shull knows first hand. Until recently, he was a top executive at the Dish Network (DISH). So what channels will those be? "Those that are live; that are on-brand; and that do something no one else does," Shull said. That's how Shull is explaining the various decisions he announced in an internal memo Wednesday. Champion, who became the host of the channel's 7 to 10 a.m. hours just last year, will end on October 30. His show, "AMHQ," includes the kind of lifestyle and entertainment segments that the channel is now moving away from. The channel says Champion, who was poached from ABC's "Good Morning America," will remain a full-time host with a focus on prime time and new digital ventures. 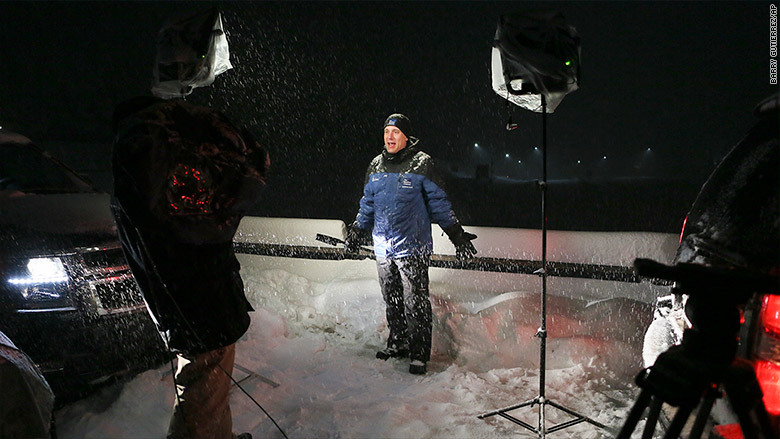 The "AMHQ" brand will remain, but it will focus on straight-forward weather storytelling. "Over the next several months, you will see us further simplify our branding across all dayparts," Shull said in his internal memo. "Regardless of the time of day, our mission is the same -- to provide the best weather forecasts and stories, and scientific expert explanations of those forecasts." Kenny and Shull said they expect to take a "ratings hit" as the reality shows gradually go away. But the channel, Kenny said, will "become more of a service," there to "super-serve the audience." That said, Shull said the channel's weather reports will strive to be more than just a "man and a map," because basic weather forecasts are now so easily accessible on mobile devices. The TV sweet spot, he said, is "the story and the science behind the forecasts." The channel will cut back on a variety of other production costs and perhaps lean more heavily from viewer submissions. Shull said he is interested in incorporating more video clips and live streams from viewers at home who are witnessing severe and unusual weather. The company is also prioritizing a localized weather, traffic and news channel it is calling Local Now. It wants to sell the channel to streaming cable-like services like Sling TV.